Not Sure Which Wheelchairs is Right For You? If you need to buy a wheelchair that’s high-quality and affordable, you are in the right place. At Allegro Medical, we not only offer a range of wheelchair accessories, but we also have great wheelchairs for sale. 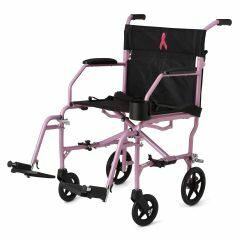 You can find manual wheelchairs, transport chairs and specialty chairs, lightweight and ultra-lightweight wheelchairs, standard weight wheelchairs, heavy duty wheelchairs, sports chairs, and electric power wheelchairs. AllegroMedical.com also offers the lowest prices, which we back up with our Best Price Guarantee. Want Special Discounts & Coupons on Wheelchairs and More?